The predecessor of basalt, the tabloid Calapooya Collage, was established in 1981 by the late Tom Ferte. Calapooya dedicated itself to publishing a wide variety of poets from around the Northwest and US, as well as publishing translations. The magazine moved from Monmouth, Oregon to Eastern Oregon University in La Grande, Oregon in 1998, where five subsequent issues appeared. After publishing a special issue dedicated to the work the photographer Minor White did in La Grande during the 1940s, the magazine’s format and name changed to basalt in 2004. We gladly read works in all genres, and are open to all schools and persuasions. 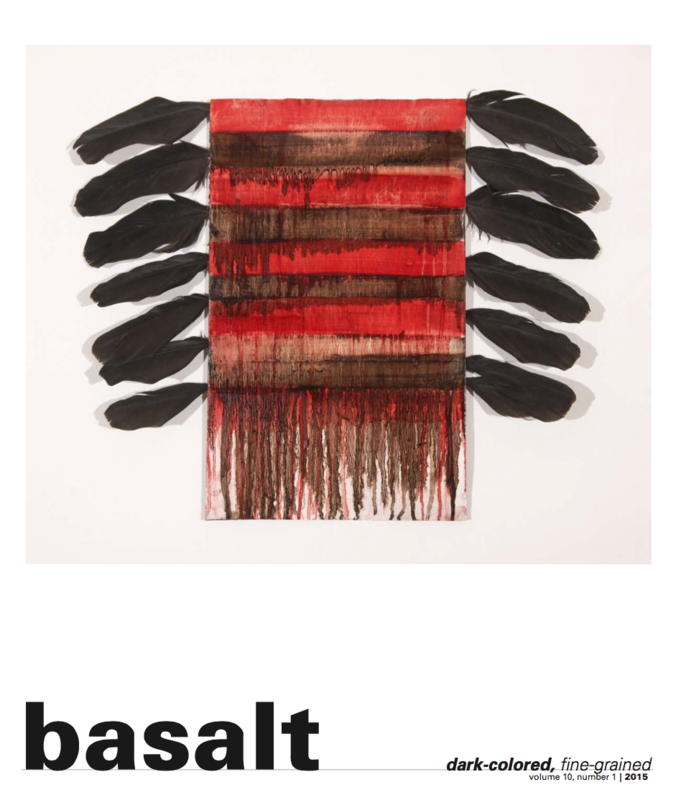 basalt is especially interested in literary forms that cross genre boundaries and mix media, as well as translations from any language.